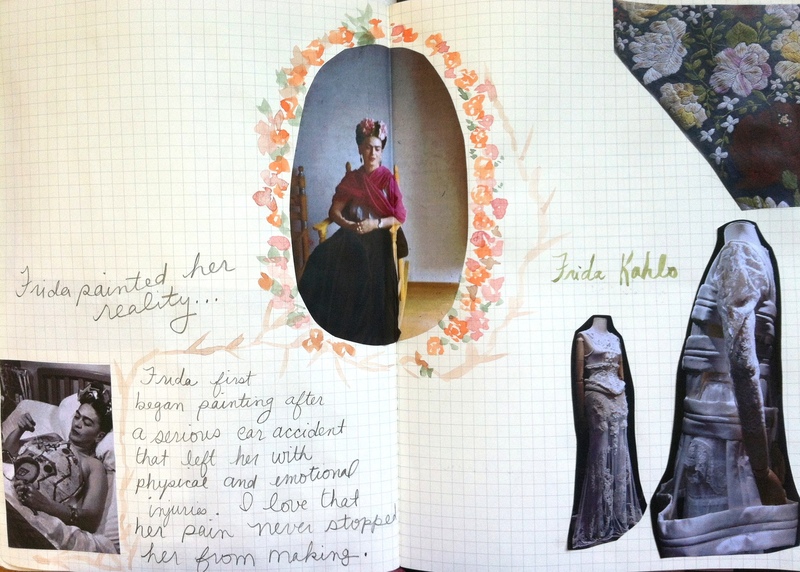 Recently, I’ve been drawn to the color and intensity of Frida Kahlo. As a female artist she is incredibly inspiring. She first began painting during a long and painful recovery from a severe car accident. 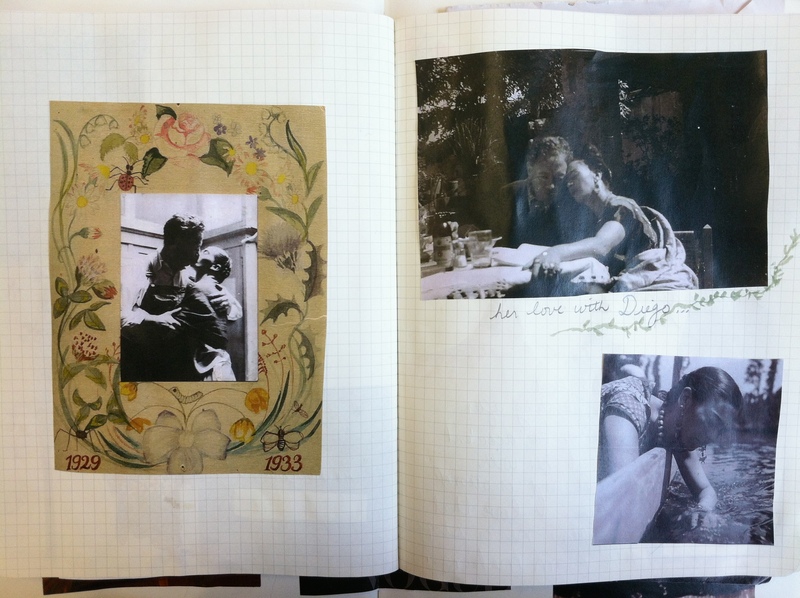 She would paint in bed, on sketchbooks, her casts and other materials. The majority of her work was self portraits – she was the subject she knew best. She would paint her reality, the physical pain that she suffered, the emotions that ran through her body and mind and the people who influenced her. At a young age, Frida looked to mural artist Diego Rivera for critique. This lead to a long and passionate but tumultuous relationship that lasted until her death. Together, they traveled the world making work with both political and emotional content. 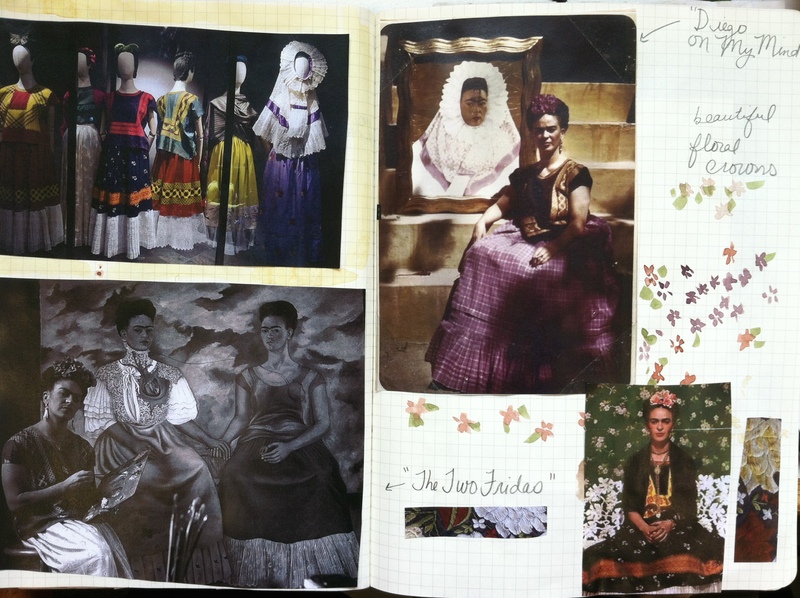 During all of this time, Frida choose to wear vibrant clothing with floral crowns to match. Underneath these beautiful layers she wore corsets and braces to hold her body in place. Whether she wore extravagant dresses and skirts or pantsuits, Frida always dressed to make a statement. Her passion and style have definitely influenced some of our designs – in terms of color and patterning – for the Spring/Summer ’15 collection! Back in Oct of 2012 the Art Gallery of Ontario in Canada exhibited Frida & Diego and I had a chance to see their art in person. It was magical, passionate and agonizing. The colours were stunning. I am going to take that experience and let it influence me in the things I will create this spring/summer. Glad I can across this posting…a beautiful reminder of the wonderful art that I got to see. Thank you for sharing that story. I would love to go on a pilgrimage to see their work.